Discover Hawaii's Garden Isle in luxury at the Kauai Coast Resort at the Beachboy. Explore timeshare resale and rental options at discounted rates with SellMyTimeshareNow.com. What’s My Kauai Coast Resort Timeshare Worth? The charming and lush Kauai coast is yours with the stunning timeshare accommodations at Kauai Coast Resort at the Beachboy. Located directly on the beach and in a prime spot for exploring the rest of the magnificent island, this resort gives you all you need to enjoy your Hawaiian getaway. From the authentic Pacific-style cuisine at the on-site restaurant to the oceanside full-service spa, you'll be able to reboot and recharge during your trips to Hawaii at the Beachboy Kauai Coast Resort. The resort incorporates studio rooms with one- and two-bedroom suites right next to the ocean for the ultimate vacation setting. 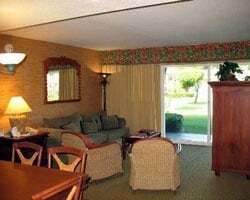 Perfect for couples, honeymooners, families, and other small groups, the Kauai Coast Resort at the Beachboy accommodates everyone comfortably. With most units including amenities like private lanais and full kitchens, you'll realize upon checking in that you've arrived at the perfect home away from home. If you're looking for guaranteed accommodations that provide more than just an ordinary hotel room, look no further. 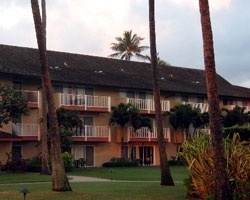 SellMyTimeshareNow.com features affordable timeshare resale and rental postings available at the Kauai Coast Resort at the Beachboy. Fill out the form on this page for more information, or call a representative at 1-877-815-4227. Purchasing a timeshare resale can give you access to the same great ownership accommodations, but for thousands less. Since resales are offered by current timeshare owners and not the resort itself, prices are often much more realistic. You can find amazing ownership opportunities at the Beachboy for costs up to 70% lower than retail. Additionally, with resales at the resort coming in the form of deeded and floating weeks, you'll have plenty of different ownership styles and price points to match your vacation needs. Buying a timeshare resale can also earn you easier membership with Shell Vacations Club, and open up even more vacation possibilities. The Kauai Coast Resort at the Beachboy is affiliated with Shell Vacations Club (SVC), part of the Wyndham family of brands. While you can start using your deeded SVC week to make reservations at the Beachboy resort, you may wish to upgrade your timeshare resale with SVC to unlock other vacation perks. For example, you could become a member of the Shell Owners Club to use points-based reservations instead of your week, or take advantage of special benefits like SVC Collections and SVC Premium Perks. The Kauai Coast Resort at the Beachboy is also affiliated with Interval International, one of the world's most popular timeshare exchange brands. With a separate Interval membership, you can deposit your timeshare resale at the Beachboy and travel all over the world. 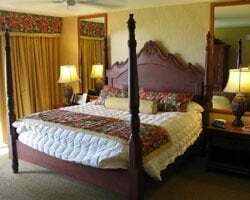 What's more, the Kauai Coast Resort at the Beachboy is a Premier rated resort, noting its superior accommodations and good reviews from former guests. This rating will likely increase your trading power when you look to exchange, which will open up more possibilities as a result. Positioned on eight acres of oceanside property in Kapaa, the Kauai Beachboy resort maintains a wide variety of on-site amenities to make sure your stay is comfortable and convenient. For starters, the gorgeous beach just beyond the resort's grounds is perfect for anyone looking for a classic Hawaii beach vacation. Other amenities, like the outdoor swimming pool and sundeck, are available for ultimate relaxation. The resort's restaurant, Hukilau Lanai, serves up delicious dishes for easy dining, while the on-site spa will truly help you rejuvenate. Nearby, the island of Kauai is front-and-center. Explore the lush tropical jungles contained within Na Pali Coast State Park, or discover the breathtaking Wailua Falls. Whatever it is you choose to do, you can do it easily from the Kauai Coast Resort at the Beachboy. 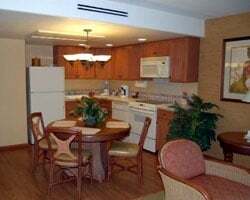 Already Own at Kauai Coast Resort at the Beachboy?